Never mind this list, Central Park has to be one of my favourite places in the world. Smack bang in the middle of one of the busiest cities in the world lies this massive patch of beauty. Arguably one of the most famous parts of New York, Central Park boasts 778 acres of leisurely entertainment. I just couldn’t comprehend how this almost separate world could be so serene when surrounded by so much chaos. Central Park has so much to do and see, we were spoilt for choice and found ourselves going back to do more. Renting bikes and cycling around the whole park is a must. (Note this takes much longer than you think – it’s huge!) As soon as you approach the park there are plenty of bicycle reps trying to rent out their bikes so don’t be afraid to negotiate, theres always somewhere else to go! One of the best things about Central Park, is that, with the exception of the zoo and restaurants, most of its sights are free. We went to the Alice in Wonderland statue, Belvedere Castle, Bow Bridge, Bethesda Terrace, The Boat House Lake, The North end reservoir, Shakespeare garden, Sheep meadow, The Mall and Literary Walk, The John Lennon Memorial, Cherry Hill, Huddlestone Arch and the Strawberry fields. We did go to Central Park Zoo and even managed to grab a couple of $1 hotdogs! With so much to see it can take a toll on your feet. Luckily for us Central Park was full of Tuk Tuk drivers who were happy to be bargained with. There was also multiple charming horse and carriages available to get around in style. New York’s iconic Times Square was absolutely crazy! It was more like a long road than a square that boasted a number of attractions including multiple music and comedy clubs, Madame Tussauds, Hard Rock Cafe, Times Scare, AMC movie theatre, Hershey’s factory, M&M World, Discovery Times Square, and of course Broadway. We were able to get tickets to see Cinderella which was absolutely incredible! The special effects and effort that went into the production were outstanding. I enjoyed its static atmosphere and quirky feel. Everywhere you looked there was some kind of busker or street performer; whether it was people dressed in fancy dress offering pictures to tourists or street artists whipping up a masterpiece for sale in front of your very eyes, Times Square is far from boring. It certainly lived up to my expectations with its big lights and advertisements beaming at you from all over. 3. GO TO THE TOP OF THE EMPIRE STATE BUILDING. 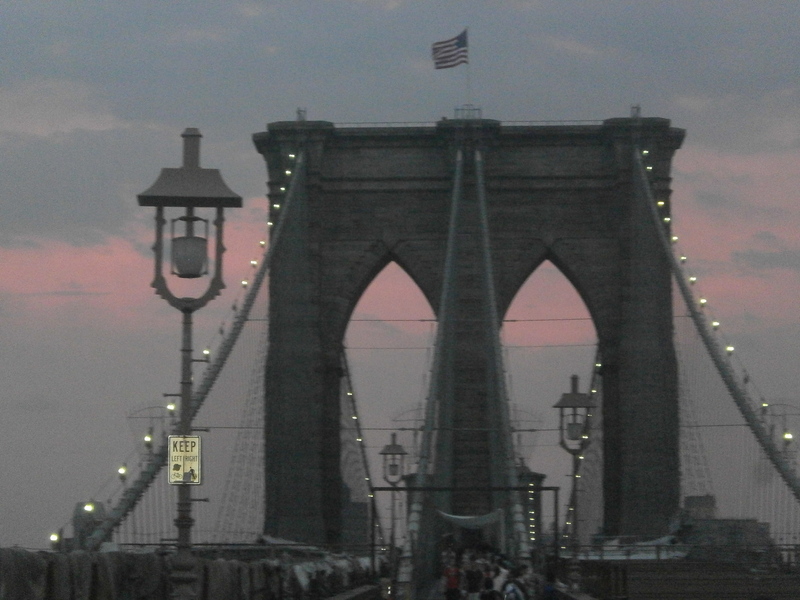 “She wants to meet on the Empire States building.” – I don’t blame her! Commemorated in movies like “An Affair to Remember” and “Sleepless in Seattle”, the world-famous Empire State Building observation deck has been visited by more than 100 million people and always ranks among New York’s top attractions. 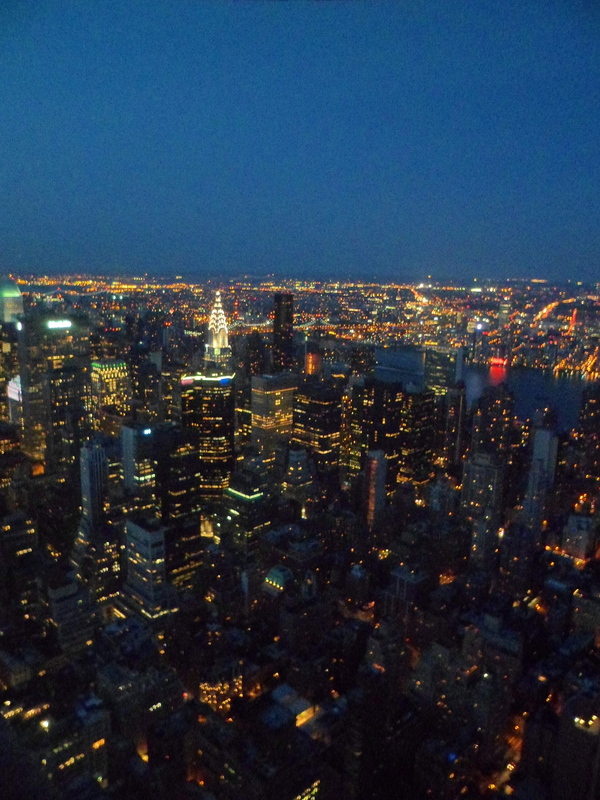 The observation deck is located on the 86th floor and offers breathtaking, sweeping views across Manhattan and even into neighboring New Jersey. It is undoubtedly ranked as one of the cities most iconic sights and is widely regarded as an architectural masterpiece. You can get tickets to the observation deck and the 102nd floor observatory online if you want to avoid notoriously long lines. One thing you want to be careful of is scammers who stand around the corner from the building and offer a quicker cheaper route to the buildings decks -this is not true, do not take the offer! A man approached us with a similar kind of offer and demanded almost double the price of a normal ticket purchased from within the building. Although there was a seemingly never ending queue to get up there it did move relatively fast and there is a museum boasting facts about the buildings infrastructure and fame along the way. 4. GO SEE A YANKEES GAME. 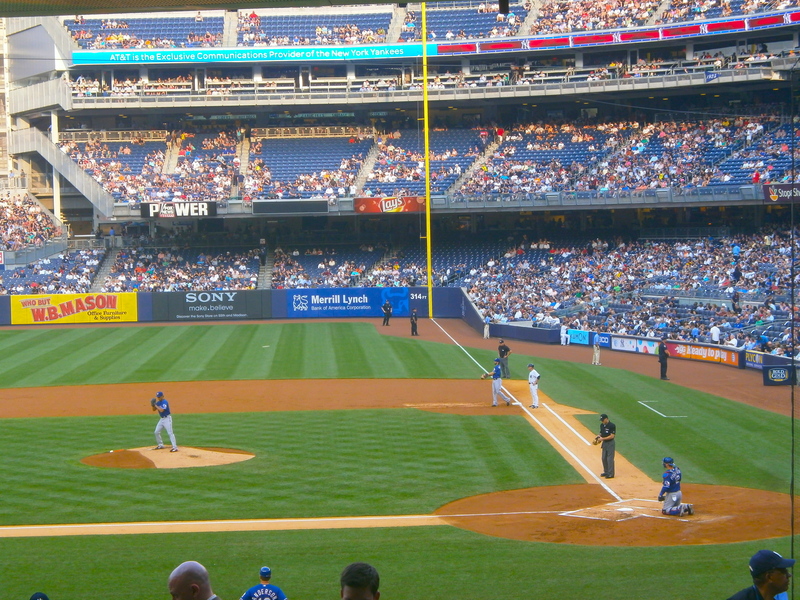 I’m not a massive sports fan but I loved my time at the Yankee Stadium it was so….American! You wouldn’t experience baseball back home with most people into Football (soccer) and rugby. The closest thing to baseball we have is rounders or possibly cricket but they only share similarities. We found tickets to see the Yankees Vs Texas Rangers for $20 at their stadium in the Bronx. The stadium offered many amenities including luxury outdoor and party suites, club seats, a martini bar, steakhouse and picnic areas. Although the actual game didn’t really excite, us there were crowd games and activities that you could take part in on big screens throughout the stadium. We didn’t realise how long the game actually took and so we got a bit bored…. Luckily there’s a Yankee Museum that displays memorabilia of great Yankee teams and players from the past, along with a Hard Rock Cafe and merchandise shop. 5. 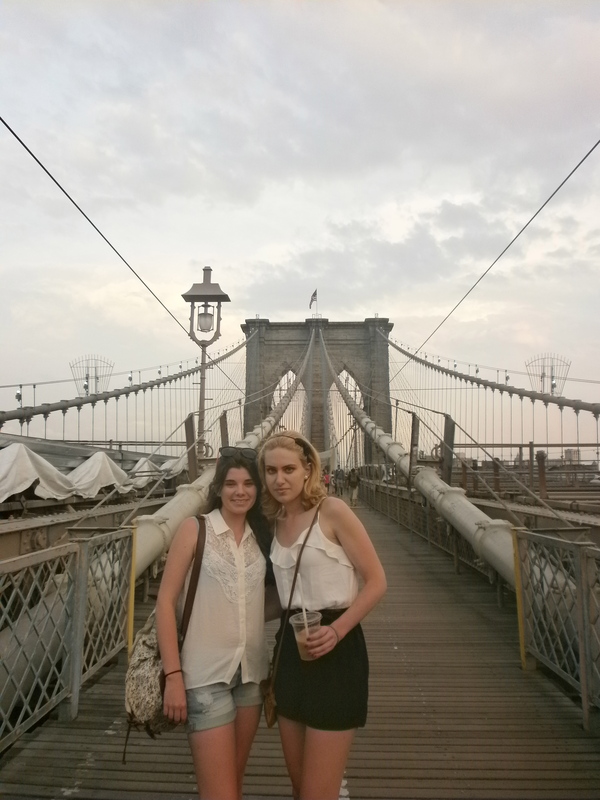 WALK OVER BROOKLYN BRIDGE. The Statue of Liberty is recognised for freedom and democracy and is a welcoming symbol for immigrants coming from abroad. As one of New Yorks most famous attractions we were really disappointed that the island was closed! Repairs were being made from the aftermath of hurricane Sandy. Still we took a Circle Line cruise up to the statue and then under Manhattan and Brooklyn bridge to see New Yorks famous skyline. We got pretty close to the Statue of Liberty and got plenty of photo opportunities. Overall the boat trip lasted about an hour and cost us $24 each. 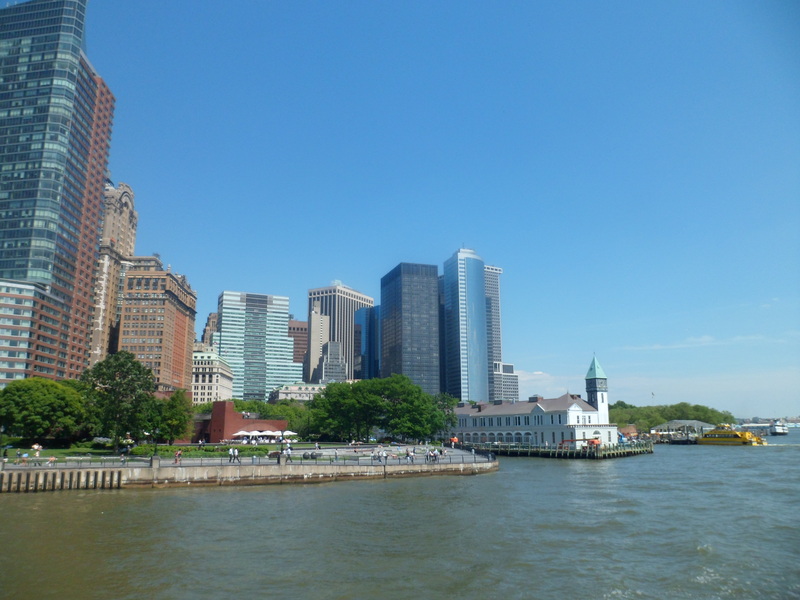 Not too cheap but it was a relaxing pleasant way to see some stunning views of New York during a gorgeous summers day. One minute your feasting on noodles and then the next you’re washing it done with a refreshing 2 scoop gelato cone – It’s hard to know when China town ends and Little Italy begins! 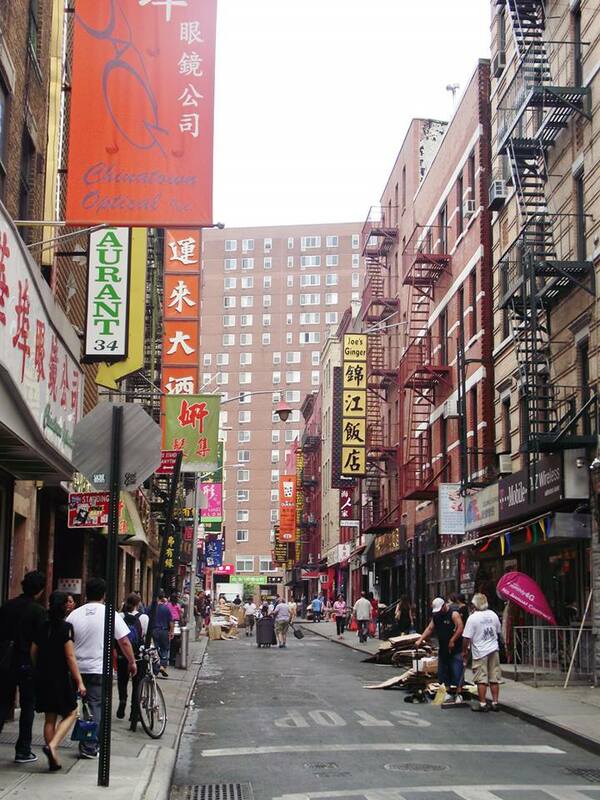 Chinatown has been one of New York’s most famous neighbourhoods since the mid 1800′s, it is seen as a symbol of the cities ethnic diversity. It was packed with restaurants, sidewalk vendors and bargain shopping. 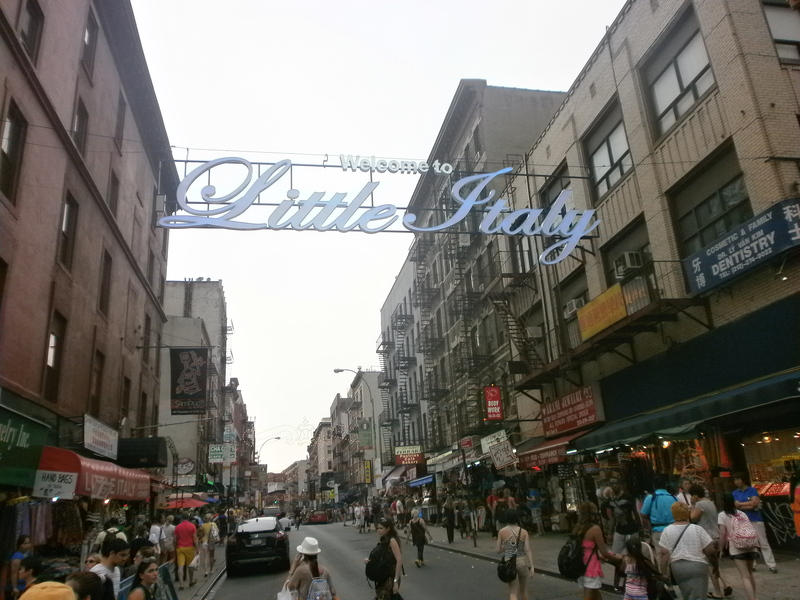 With a forever expanding Chinatown, Little Italy is shrinking. However its old world charm of Naples and Rome and fame for its fabulous food, pastries and wine still remains. We had lunch at Ristorante Italiano in Little Italy I had ravioli stuffed with crab- best meal of my life. 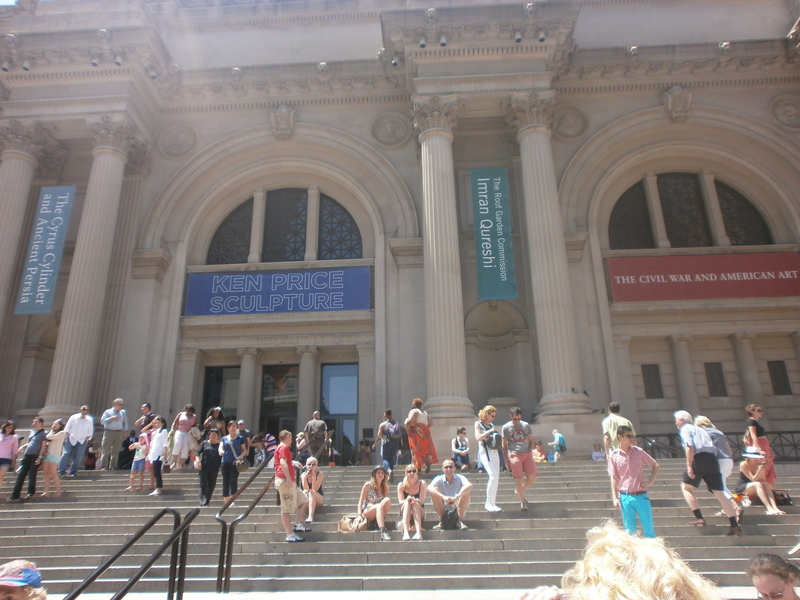 The MET is the largest art museum in the United States and one of the ten largest in the world. Located along NYC’s museum mile the MET showcases works of art from classical antiquity and Ancient Egypt, paintings and sculptures from nearly all the European masters, and an extensive collection of American and modern art. As a big art fan I loved the MET and was excited to find paintings by the likes of Van Gogh and Monet in the European gallery. As well as history and art galore there is also a Roof Garden that offers views of Central Park and the Manhattan skyline. It cost $25 for an adult ticket, ros and I got a student one after showing our student IDs as proof for $12. 9. THE NATIONAL SEPTEMBER 11 MEMORIAL AND MUSEUM The memorial commemorates the September 11 attacks of 2001-which killed 2,977 people- and the World Trade Center bombing of 1993. 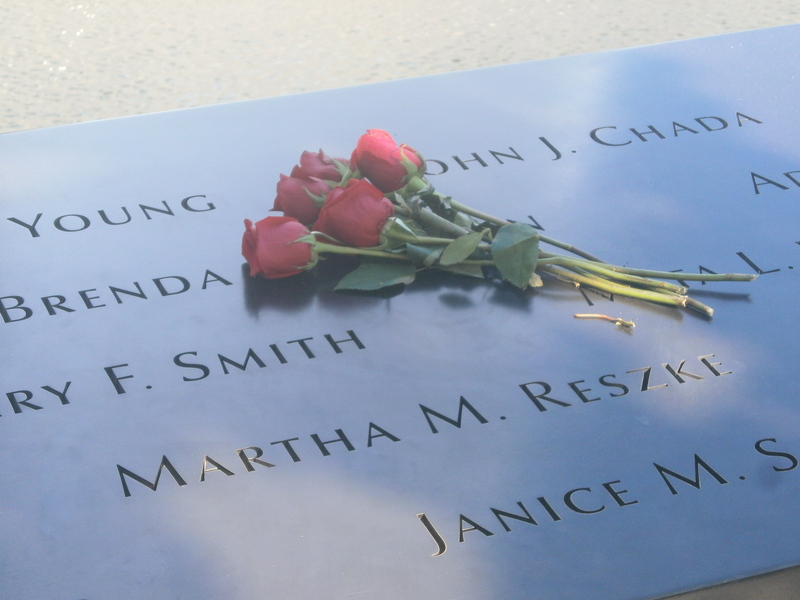 It is located at the World Trade Center site, the former location of the Twin Towers. Tickets were $24 dollars and couldn’t be booked in advance as they are distributed on a first-come, first-served basis. The exhibition had three parts: the Day of 9/11, Before 9/11 and After 9/11. It told the story of what happened on the day including the events at the World Trade Center and the Pentagon. The exhibition explored the background leading up to the events and examines its aftermath. The memorial exhibition, which is named In Memoriam, commemorates the lives of those who perished on September 11, 2001 and February 26, 1993 and provided us with the opportunity to learn about the men, women and children who died. It was a really interesting and eye opening experience. The memorial itself was beautiful, it was bitter-sweet to see people placing roses by the names of those who died in commemoration. Its considered as one of the most expensive and best shopping streets in the world, and 5th Avenue didn’t dissapoint. This historic street has many world-renowned museums, businesses, stores, parks, luxury apartments, and historical landmarks. Having always seen parts of 5th Avenue pop up in films and television shows being surrounded by Landmarks such as the Empire State Building, the Flatiron Building, the New York Public Library, Rockefeller Centre, the National Historic Landmark and St. Patrick’s Cathedral, I felt like I had truly made it to New York. Walking down 5th Avenue made me feel like I was in Breakfast at Tiffany’s about to bump into Audrey Hepburn any minute.